Once you’ve figured out your meals, you’ll need to put some thought into what you’re consuming in between, along with ways to boost your hydration. 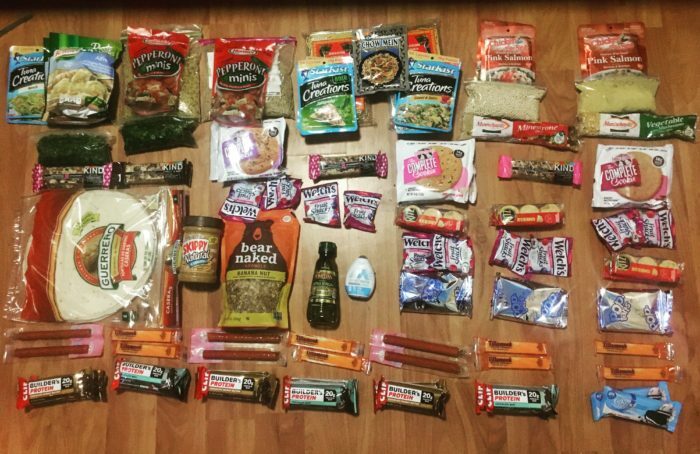 Here are some of my sure-fire snacks and hydration aids to sure you’re fueled for the long haul. Besides providing an ongoing source of calories throughout the day, snacks also provide an important morale boost. So much so, I would often bribe myself with snacks throughout the day: “just two more miles then you can have some cheese.” Try to find a balance between snacks you enjoy and the all-important caloric density and nutrients. By the end of the trail, I am certain that I’ve tried every brand and flavour of protein bars on the market; the nut-butter-filled Clif bars were my personal favourite. They aren’t the most appetizing of snacks after a while, but they’re filling and are easy to eat while walking. Here are some examples of energy bars with a good balance of calories, protein, and weight. Although they don’t offer as many calories as protein bars, the variety and crunchy texture is a refreshing change. Look for bars with nuts and seeds for extra energy. Pro Tip: Snickers offer one of the best calorie-to-weight ratio of chocolate bars on the market. 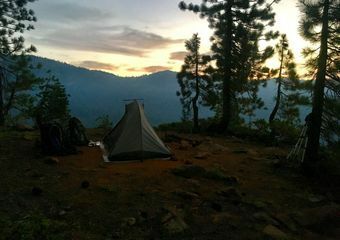 They even become an unofficial currency along the trail—I was once offered a Snickers in exchange for setting up an exhausted hiker’s tent, and you’ll find that a single Snickers bar will trade for two Clif bars out of another hiker’s food sack. If they melt along the way, simply place into a slow-flowing stream for a couple of minutes and they’ll quickly reharden. Yes, pies. I started adding the handheld pies from convenience stores into my snack rotation near the end of the trail, when I couldn’t stomach the idea of more protein bars. They even became my breakfast staple for the last few weeks. More specifically, Len and Larry’s Complete Cookies—these things are amazing. Len and Larry should have sponsored my hike based on the number of times I promoted their cookies to other hikers. They come in a wide variety of flavours and have a fantastic soft texture and a surprising amount of protein. 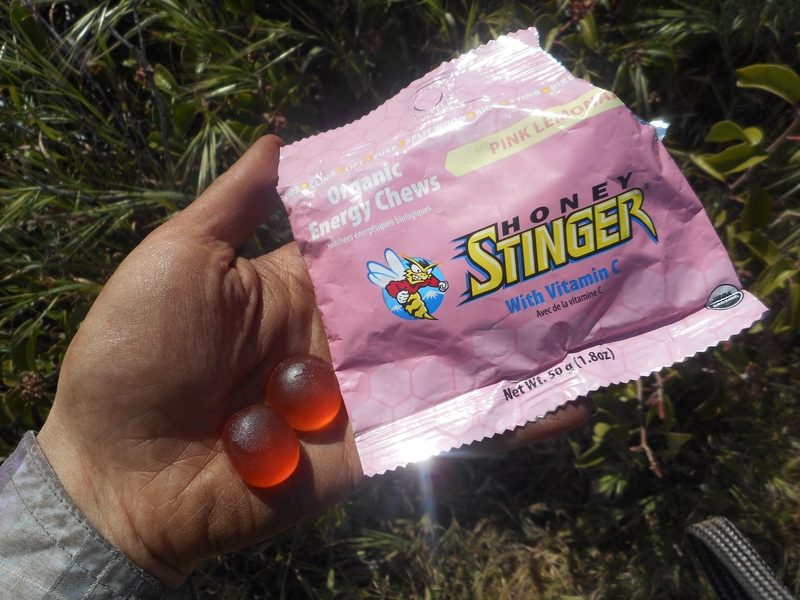 I went with Honey Stinger Chews and Clif Shot Bloks (available in caffeinated and non-caffeinated varieties.) They don’t do much in the way of keeping you full, but they offer a good burst of food energy towards the end of the day, and they’re easy to digest if you’re tired of gnawing on bars. These were my favourite snack for 1,500 miles until I overdid it. Blue Diamond offers some great flavours, particularly wasabi and hickory. The crunch of almonds is satisfying and they keep you feeling full for a while thanks to the 22 grams of fat and 10 grams of protein in every half cup. Look for the individually packaged sticks of string cheese and pepperoni. Be sure to eat the first couple of days out of town—they’ll keep for 3-4 days in cooler conditions and 2-3 days when it’s warm out. Although not the greatest source of protein, it was enjoyable to have a crunchy, salty snack. Plus they weigh very little and the saltiness is great when you sweat at epic thru-hiker levels and need to replace lost sodium. During your hike, water will consume more of your thoughts then you ever imagined. 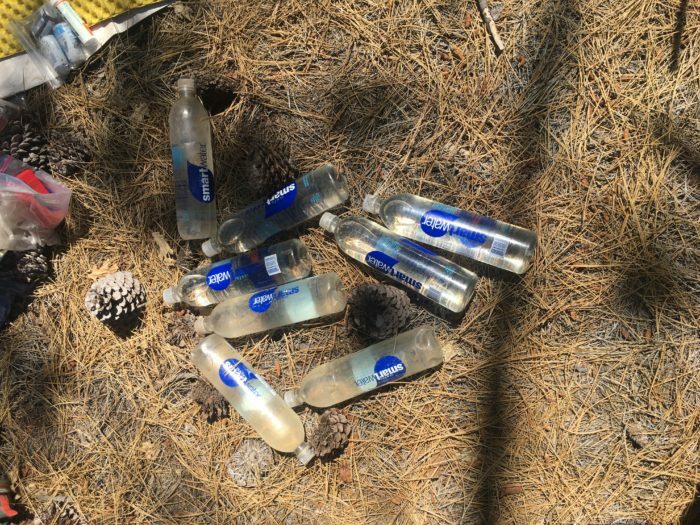 Between calculating the number of litres needed between water sources and wondering if the seasonal stream in 5 miles is still flowing after the last heat wave, staying hydrated will become a priority. Finding ways to add extra electrolytes to your water is an essential part of this, and adding flavour is a bonus! These little electrolyte tablets dissolve once you drop them in your water and add light flavour to your water, in addition to helping you stay hydrated. They are great during long dry stretches or in hot weather when you need to replace the salt lost during excessive sweating. They also come in caffeinated versions. Easy to find in most grocery stores, these come in three versions: regular (no additional benefit besides flavour, caffeinated, and electrolytes.) I found Nuun tablets to be more effective for the purpose of electrolyte replacement, but the caffeinated Mio drops were a lifesaver during early morning or night hikes. Look for these small packets in the pharmacy section of the grocery store, often near the vitamins. I kept a few packets on hand at all time for handling dehydration or early stages of heat stroke. Beyond their ability to help rehydrate, they are an effervescent, and the light bubbles help calm an upset stomach.